On my visit to Sydney last week, I couldn't help but be captivated by this shop window display on Queen Street Woollahra. It may bave been the carved oak angels but I think it was the French Cire Trudon candles with the famous gold labels displayed under French glass cloches. After this, I started seeing these candles everywhere! 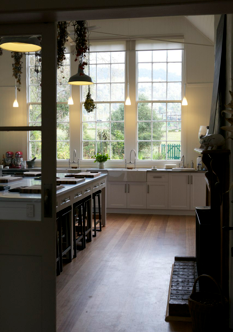 They are generally displayed under glass domes or bell jars (cloches)... 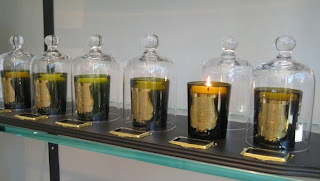 These exquisite candles are made by the oldest French candle manufacturer, Cire Trudon. 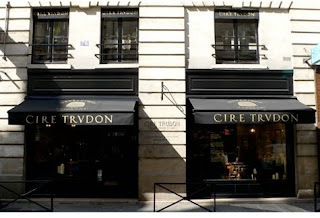 Claude Trudon was a merchant who opened an apothecary in Paris in the 1600s and became the royal candlemaker. Below is the candle shop that has been in operation on rue de Seine, Paris since 1643 - now that is history! 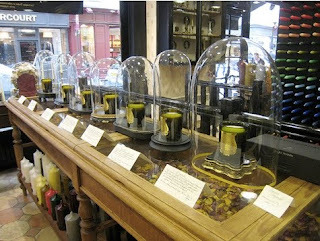 And the ulitmate Cire Trudon candle? This 2.3kg, 700+ hour burn time La Grande Bougie candle housed in a hand blown vessel. A wicked indulgence at $695... (available at http://www.beckerminty.com/ ) But we only live once, right? Ooh, what a luxurious splurge that would be! 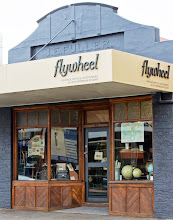 I just adore the history that surrounds the business too - I'm a bit of sucker for a heritage brand!